The Malaga Law Society has ruled that lawyer Antonio Flores did not incur in misconduct when revealing, a few months ago, that the Marbella Mayor had acquired a tax evasion product from Nordea Bank S.A. This shows that even very intelligent people are occasionally misled and that none of us want to be seen as having become the victim of some unscrupulous “financial advisor”…. And as a consequence little money to take legal action against the fraudsters. It is these elderly people who are the real victims. We agree. It is those who have no money, no authority and are too old to fight back that are the true casualties. No doubt the Lady Mayoress is not short of any of these resources! More bravery from Antonio Flores demonstrating that he is the fearless champion of the common people. Well done Law Bird for exposing EVERY aspect of these vicious crimes against defenceless elderly people. Let nobody forget that the “equity release scheme” is an illegal invention that was imported into Spain illegally and sold illegally with the assistance of illegal “financial advisors”. Perhaps the honourable Mayor of Marbella, Ángeles Muñoz, would be more usefully employed in assisting those who are bringing these concerns into a Court of Law – public servants are legally elected by the people to serve the people and recognising crime committed on Spanish soil is an integral function of this service. Rather strange that the mayor of Marbella should denunciate a lawyer for “misconduct” when he acted in the interest of the community by exposing an illegal (and criminal) tax evasion scheme which is causing great suffering and distress to elderly people. Surely for the best result the victims of such schemes should proceed in mutual unison to bring the perpetrators to justice? There are two sides in this contest…. “robbers” and those who have been “robbed”. Which side is the honourable Mrs Mayor playing for? By attempting to harass and silence those bravely campaigning for the “robbed” (the elderly victims of fraud) it would appear that Mrs Mayor is competing on the wrong side! Which might also suggest that she has something to hide …? Congratulations Antonio. The stupidity of the mayor leaves much to be desired,. of course she knew what she was doing and Antonio had all the evidence to back up his claims. This does not go well for Nordea and their soon to be heard cae of fraudulent advertising due to be head in March/April 2015 in the Mercantile Court Malaga. I also suppose this will not go down too well in the criminal complaint against Nordea filed in the Marbella Criminal Court. Perhaps it is time for the Mayor to join all the expat pensioners that have also been conned by Nordea bank Luxembourg and petition the Audiencia National Court to have this bank investigated by the Financial arm of the Spanish Government (if one exists) Is it not time for Nordea Bank to settle with all their victims in Spain and in particular return the properties to those victims that they have repossessed. Nordea you know exactly what you have done, knowingly, and there is no doubt that you will be exposed eventually. Why not make a lot of people happy for Christmas. Quite honestly we expected nothing less from the Law Society. We are so happy that the Law Society looks at the evidence and rules accordingly, without any fear or favour to the political situation. Very refreshing. Is it not time for the Mayor to openly admit that she was conned along with hundreds of other victims into taking these fraudulent and criminal schemes out. As we know the Ministry of Tax have ruled that these are tax fraud schemes. They are also the worst type of mis selling schemes that have been devised as was ruled in the UK in the early 1990’s and we subsequently outlawed. We are aware that a number of banks have been sued in the British Courts, however due to legal implications we do not have the full details and are unable to report on these. It is sufficient to say that numerous cases have now been concluded/settled before trial. What we are looking for for all our members / victims are for the banks to settle all the cae in Spain, sooner rather than later. 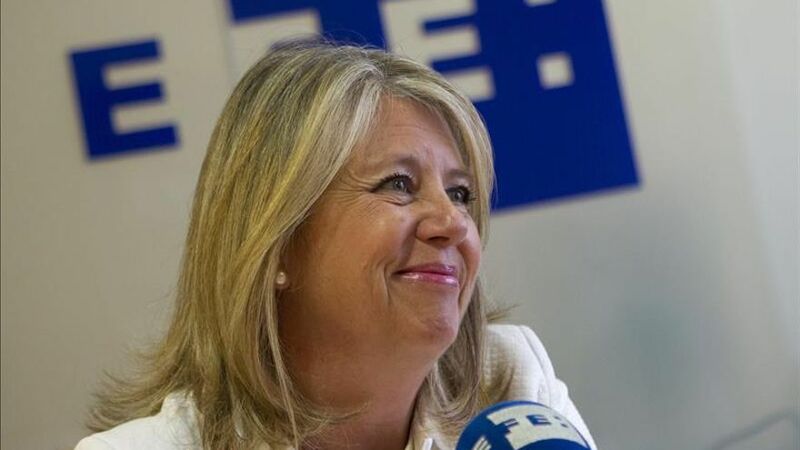 Perhaps the Mayor Angeles Munoz has now realised she has been take for a ride by our friend Mr. Hertz our friendly Chief Representative, come super salesman and marketeer of Nordea’s office in Nueva Andalucia the Head Office ofnwhich is based in the banana republic of Luxembourg, where sleaze, corrupt and criminal financial practises are a daily recurrence. Although I have no firm knowledge it is rumoured through the grapevine that Nordea have settled a number of cases in the UK, the information was that they have come to a conclusion. If this information is incorrect then if Nordea wishes to comment to the contrary, I unreservedly withdraw this comment and appologise. I will view this web site on a regular basis, however I have a sneaky feeling that Nordea will not comment although I am sure they monitor this web site on a regular basis. Nordea probably visit this website twice a day and any “settlements” they may have made with their victims will be subject to a “confidentiality agreement” … that these people are resident in the UK indicates that the “regulator” shows far more teeth! Luxemburg, Isle of Man, Jersey et al are known as “tax havens” … they are also “safe havens” from where financial fraud is launched, and where Banks and Fund managers “settle” with their victims.on a “cost benefit” basis. In other words when the cost of repairing their reputation grows larger than the cost of “settling”. The so-called “regulator” is toothless and spends most of the time covering up financial fraud. And the lesson for all to learn? Never bank or invest in any of these places! Avoid this and other “tax havens” like the plague!